MOSCOW, January 12. /TASS/. 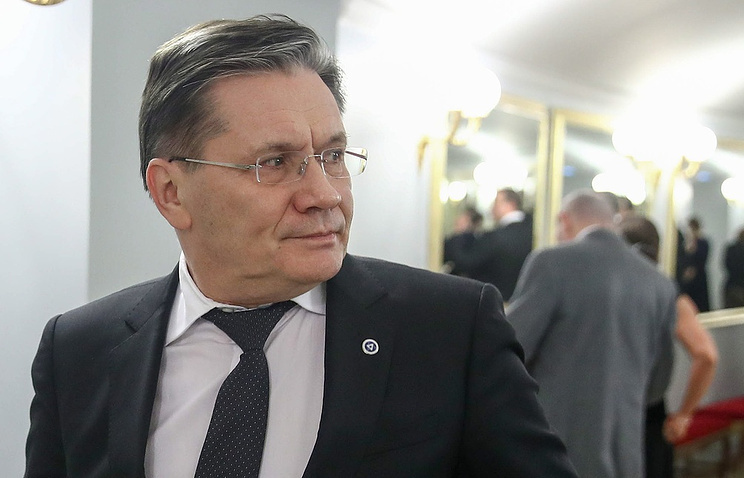 Russia’s state nuclear company Rosatom is in talks on a floating nuclear power plant project with states of Southeast Asia, the Persian Gulf and of Latin America, Rosatom CEO Alexei Likhachev said in a televised interview with Rossiya’24 news channel on Saturday. "We are holding intensive negotiations [on the project of a floating NPP] with different countries," he said. "Our partners from Southeast Asia show a vivid interest in the project along with the Persian Gulf and Latin American nations." Likhachev added that many states show interest in the floating nuclear power plant, but the sides have not sealed any contracts yet. According to Rosatom head, "an idea is being discussed to set up some venture in Latin America on the basis of cooperation with Argentine enterprises." "We are ready for this. We do not twiddle our thumbs. We are moving on to optimize the floating unit," he added. Russia’s state nuclear corporation Rosatom is a leader on the global nuclear market. The corporation operates nuclear energy, and is engaged in designing and constructing NPPs and in manufacturing nuclear equipment.